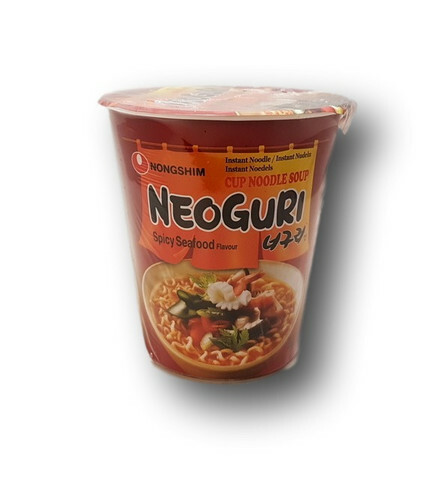 Noodles: Wheat flour, potato starch, palm oil, salt, grain powder (soy, barley), seasoning (cuttlefish, maltodextrin, anchovy, shrimp, fish sauce [tuna, sea bream], soy sauce), tocopherol liquid (E306, E322), acidity regulator (E339), green tea extract (oligosaccharides, tea catechin, acid [E330]), color (E101). 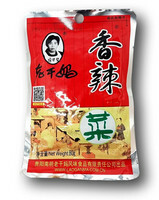 Soup base: Seasoning (maltodextrin, hydrolyzed vegetable protein [soy, corn, wheat], mussel, salt, sugar, scallop, yeast extract, cuttlefish, tuna, anchovy, bonito), salt, spices (maltodextrin, chili pepper, black pepper, garlic, emulsifier [E322]), flavor enhancers (E627, E631), sugar, corn flour, caramel powder (maltodextrin, color [E150c]). Flakes: Fish cake (pollock, wheat starch, potato starch, glucose, cuttlefish), cabbage, seaweed, kelp. 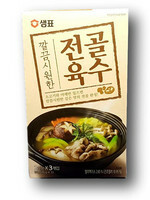 Contains wheat, soy, barley, fish, shrimp and molluscs.